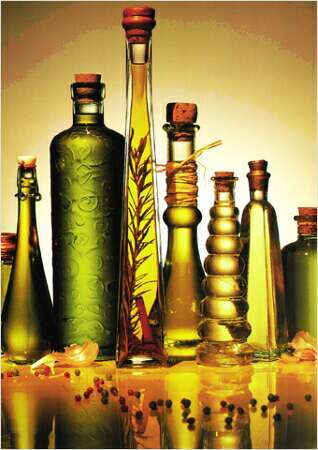 We all know the benefits of olive oil: heart health and decreased inflammation. But did you know that olives date back to the beginning of history, with a majority of the world’s production coming from Mediterranean region. Two years ago when I was studying there I had the chance to taste some of the finest olive oil I have ever had. Now, I always say if you think that large canister of bright yellow olive oil you are buying in the supermarket is real, you are oh so wrong. Good olive oil has a hint of green, and contains notes that are bitter, spicy, and almost silky as it drips down the back of your throat. Extra virgin is the highest quality and usually has the best flavor profile with a peppery sensation that will be notable. In an effort to provide minimally processed, high quality Olive oil, Omega Olive Oil was born! Far from your average olive oil, Omega Olive Oil is all about local, fresh ingredients, using the most attainable ingredients Massachusetts has to offer to provide in an effort to provide a product that not only supports our economy but is organic as well! The olives are grown and pressed from small farms in California, where the idea originated. The onwers, lived in California for some time and found that really great olive oil is on every table, in every restaurant! When they moved back East they discovered that great olive oil was not so easy to find. Felicia decided to then focus on California olive oil because she enjoyed the idea of providing something fairly local that would be like a piece of home from California. While they just started a few years ago, and do not have a brick and mortar location yet, you can buy their varieties online at http://www.omegaoliveoil.com/Home_Page.php. You will stumble across flavors such as Blood Orange, Chipotle, Habanero, and Lemon olive oil to name a few. Felicia recommends their oil for dipping, starting a sauce, or just on pasta with cheese. And, because the company strives keep a personal touch with their customers and because they are still rather small, people will call them ask to meet them just so they can get their olive oil!